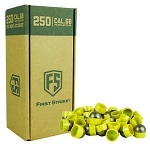 First Strike Round make the perfect projectile for those extra difficult shots. 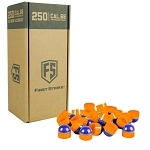 First Strike Rounds have set bar for consistent and accuracy in paintball. 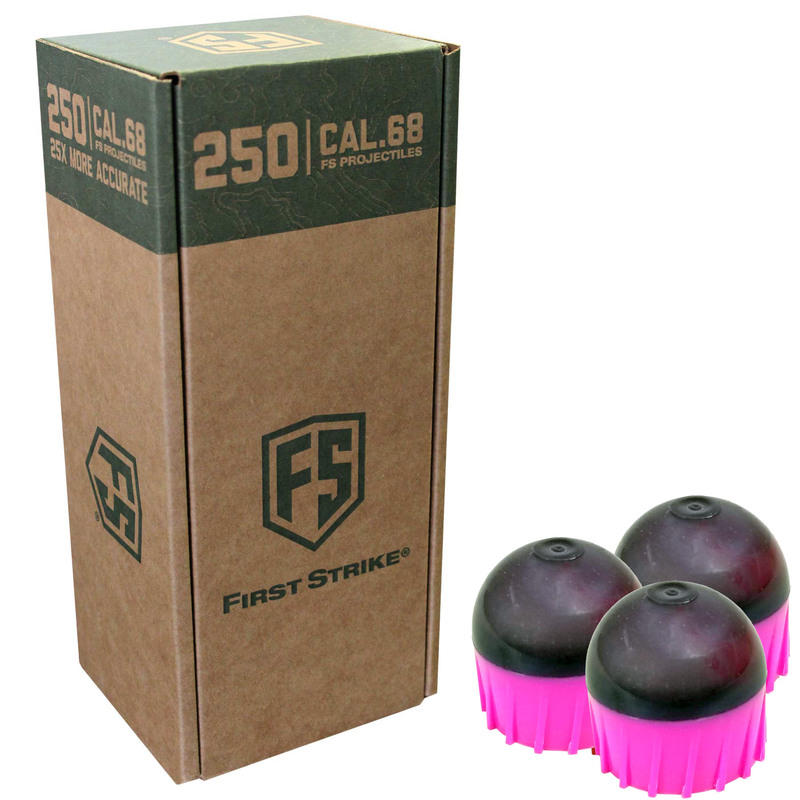 Utilizing both aerodynamic design and fin stabilization technology, First Strike Rounds maintain their velocity longer than a regular paintball. The result is 50% greater range and precision accuracy. Want to be marksman? 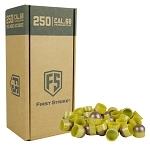 Pick up the First Strike Rounds for your next magfed event.